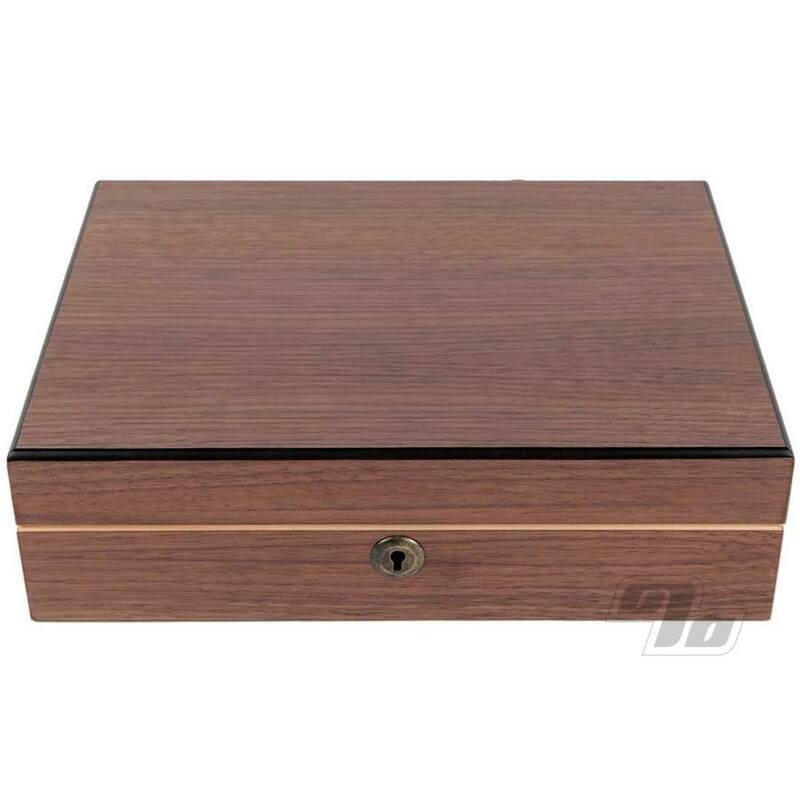 This gorgeous RYOT 8x11 Humidor Combo Box in Walnut comes complete with 4x7 Pollen Sifter Box. 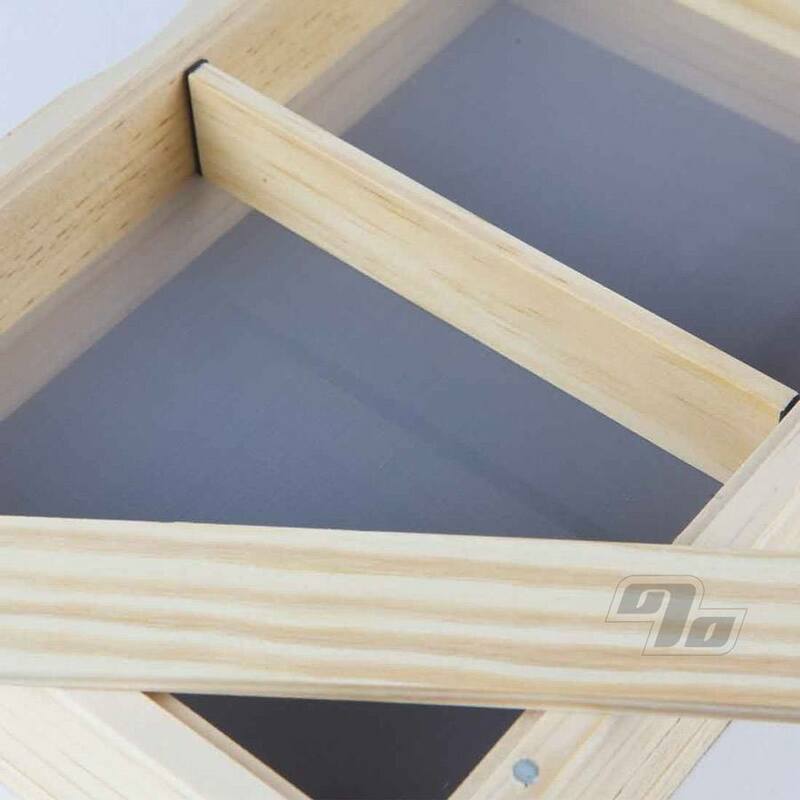 Securely locking, these boxes feature an interior, open topped monofilament screened box for storing and sifting your herbs. 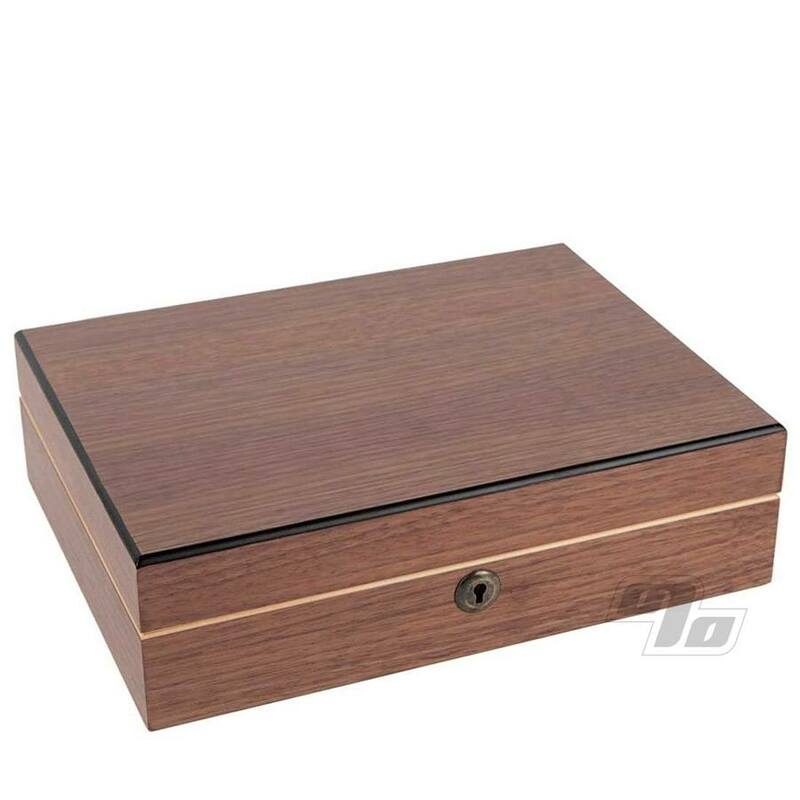 Additional storage space is available for hand pipes, papers, grinders, lighters, pokers, or any other small smoking accessories. 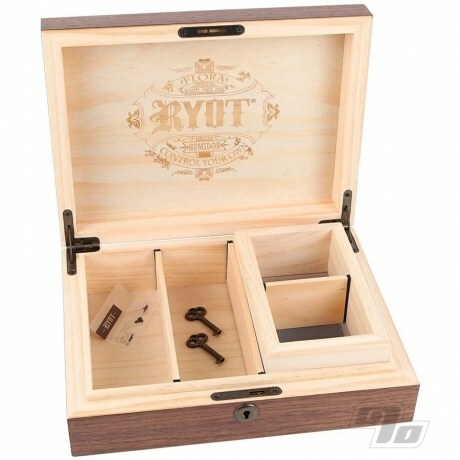 Fully loaded, RYOT's locking boxes make for the perfect home smoking station! 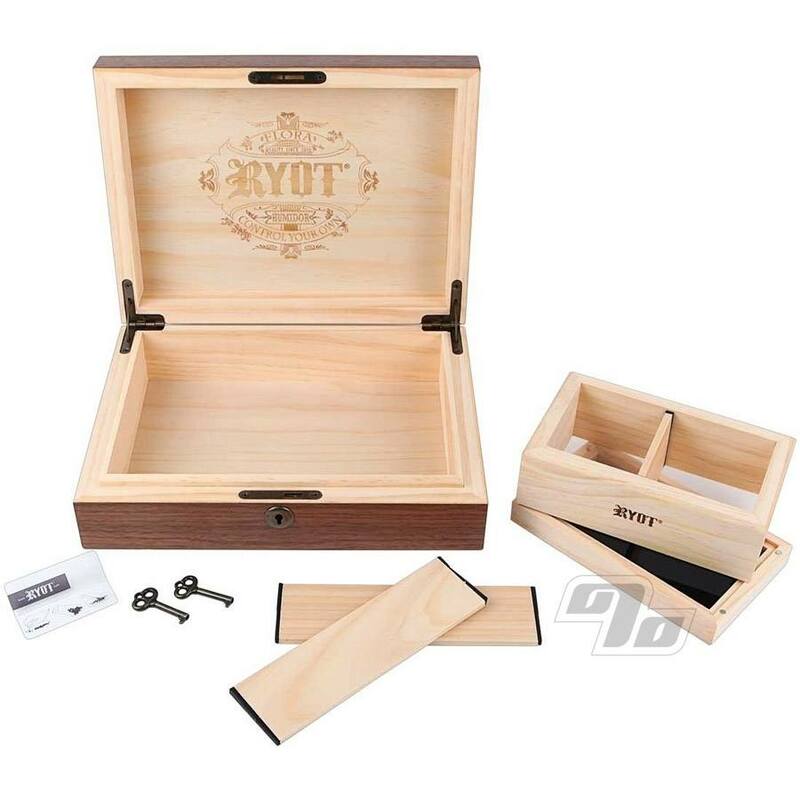 - Exterior Box Depth: 3"
All RYOT Humidor Combo Boxes come with a free Integra Boost 2-Way Humidity Control pack to help maximize color, aroma and taste of your herbs. 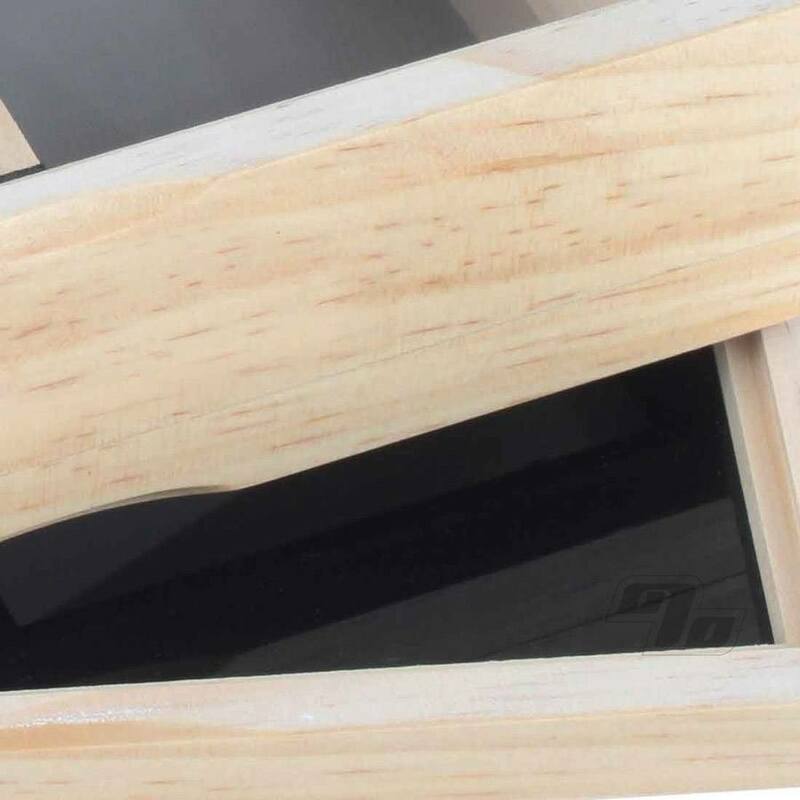 Keep 'em safe, secure and fresh!